For a curious boy like Jess Hall, growing up in Marshall means trouble when your mother catches you spying on grown-ups. Adventurous and precocious, Jess is enormously protective of his older brother, Christopher, a mute whom everyone calls Stump. Though their mother has warned them not to snoop, Stump can’t help sneaking a look at something he’s not supposed to–an act that will have catastrophic repercussions, shattering both his world and Jess’s. It’s a wrenching event that thrusts Jess into an adulthood for which he’s not prepared. While there is much about the world that still confuses him, he now knows that a new understanding can bring not only a growing danger and evil–but also the possibility of freedom and deliverance as well. So, basically A Land More Kind Than Home is completely devastating. The reader has a better view of what is happening and why than the characters, but this never serves to lessen the suspense or the heartache. 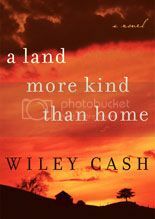 If anything, it makes Cash’s story more completely gut wrenching. The narration is shared by three characters: Jess; Adelaide Lyle, the town midwife; and Clem Barefield, the sheriff. Each has painful secrets of his or her own, as well as a varying degree of understanding of just exactly what happened. Each of them is also an engaging and full-fledged character, whose point of view sheds more light on the community of Marshall, if not always on the tragic event that is tearing all of their lives apart. The casting of three separate narrators, Lorna Raver, Mark Bramhall, and Nick Sullivan was a good decision. Each takes over the sections told from the point of view of a different character, and each manages to completely become the character in question. Sullivan in particular should be applauded for his depiction of Jess, a young boy. Narration of children is often difficult, but Sullivan manages to project a youthful sound, without resorting to falsetto or other obnoxious vocal tricks. Listeners won’t actually confuse him for a child, but will be able to suspend disbelief and accept Sullivan as Jess. A Land More Kind Than Home is a beautifully painful debut novel that becomes even better with a stellar cast of narrators. Very highly recommended. I highly support you listening to it, Grover rocked the casting. I have this in print and can’t wait to read it. Your review makes me wish I had the audio version. I’ve already got this on my audio wish list – sounds like a great listen! Thanks for the review. I’ve been seeing this novel around and have been considering reading it for the past week or so. I’m sold after this review. 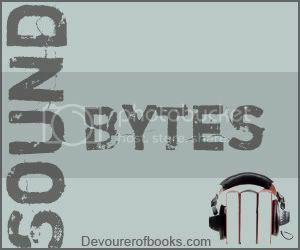 As I love audio productions with multiple narrators (I’ve never listened to one with more than two), I’m looking forward to hearing this audiobook. Thanks for the great review! I’ve been seeing this one around. Your review has prompted me to pick it up. Great post. Wow – after reading the summary – the first line of your review caught me by surprise! Sounds lke a phenomenal book – I’ll have to put it on my looong “to be read” list. Thank you for preparing me for the devastation. I don’t mind, but I like to know what I’m getting into.